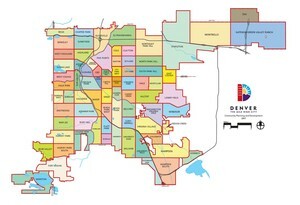 The City Park neighborhood comprises of the park itself, flanked by two residential areas, City Park and City Park West together with the Denver Zoo and the Nature and Science Museum of Denver, popular with both locals and visitors alike. There is only a small percentage of the population in these residential areas as the park itself covers some 370 acres. According to 2009 figures there were 2168 residents. Not bad for all that lowly populated greenery. 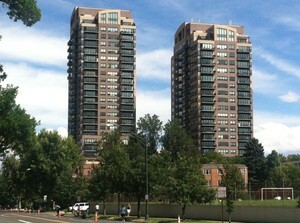 The City Park West neighborhood has the larger amount of residential housing. The average listing price in City Park is just about $400,000. 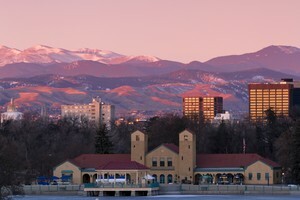 The park was acquired by the City and County of Denver in 1881. It had three landscaped lakes added and includes a pavilion and other facilities that may even be publically rented for events, and a whole host of attractions throughout the year. The summer boasts the ever popular free concerts known as City Park Jazz held at 6pm on selected Sundays. There is also an 18-hole Golf Course with clubhouse on 2500 York St where it has been a challenge for players since 1913. The most popular attraction in the park has to be the Denver Zoo. First opened in 1896 due to the donation of a black bear called Billy Bryan, the zoo has been lovingly laid across 80 City Park acres. The zoo welcomes more than 1.6 million visitors each year and is open every day to marvel at over 4,000 animals from all corners of the world and enjoyed a major overhaul in 2004 proudly, showing off its newest attraction Predator Ridge. This gave a larger and more natural setting to its 50 African inhabitants. Another favorite is the resident sea lions with the ever popular feeding performances at 10:30 and 14:30 every day. Opened in 2012 the City Park Zoo received sponsorship to improve the housing of its family of Asian elephants, and with an Asian theme the Toyota Elephant Passage, including other mammals, should be seen by all. There is also the endangered species carousel where 48 hand carved endangered species are featured and can be helped by a small donation for a spin. There are festive zoo lights to be enjoyed during the holidays. City Park is also lucky enough to include the Denver Nature and Science Museum complete with an IMAX movie house and featuring many unique exhibits throughout the year. The museum was founded by local naturalist Edwin Carter in 1900 and was original called The Natural History Museum. The collection proudly displays over one million artifacts including Egyptian Mummies dated 3,000 years old.